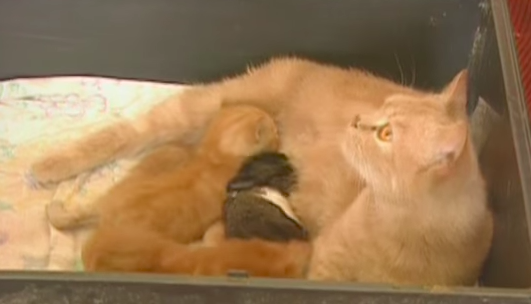 Is there anything sweeter than a mama kitty who adopts an orphaned animal of another species, nurses it, and then accepts it into her own litter of kittens? I think not! Here’s a Post-Mother’s-Day Round-Up. Even this squirrel’s adoptive siblings treat him like part of the family. ← Will the Real “Crazy Cat Man,” Please Stand Up?